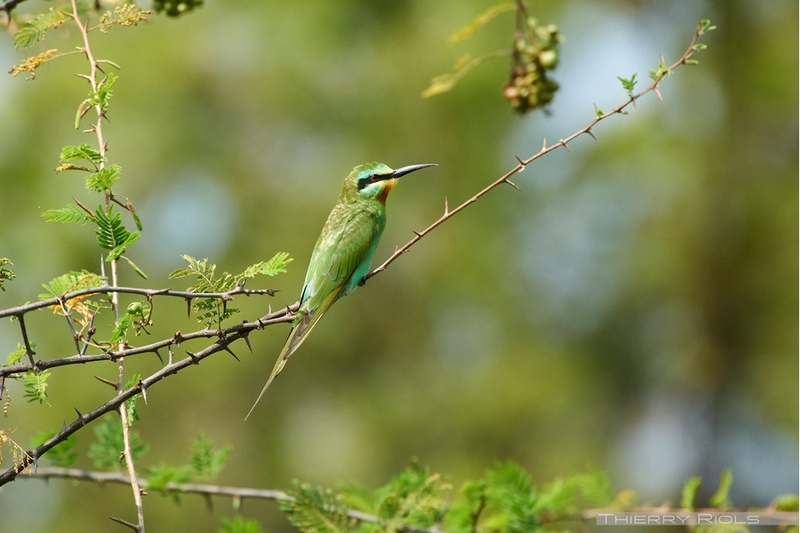 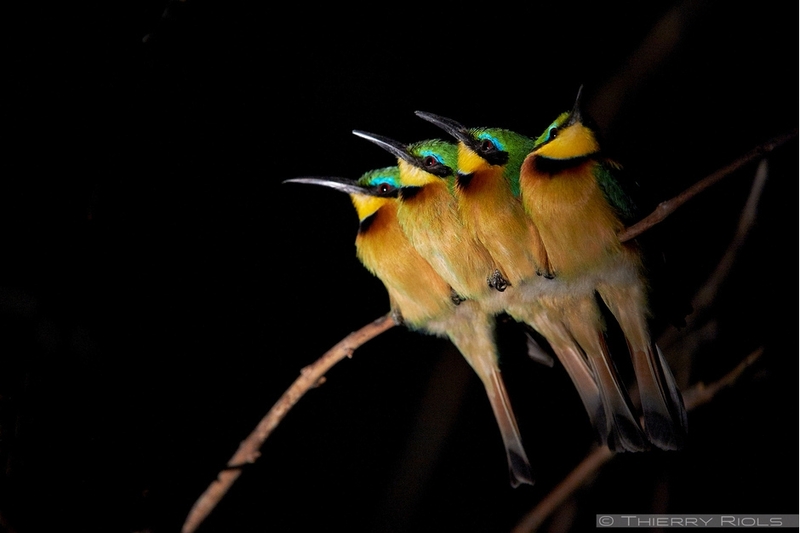 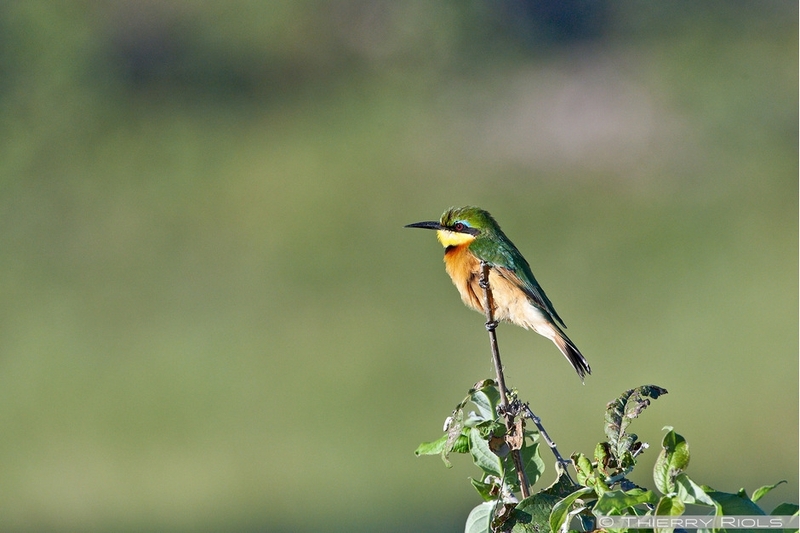 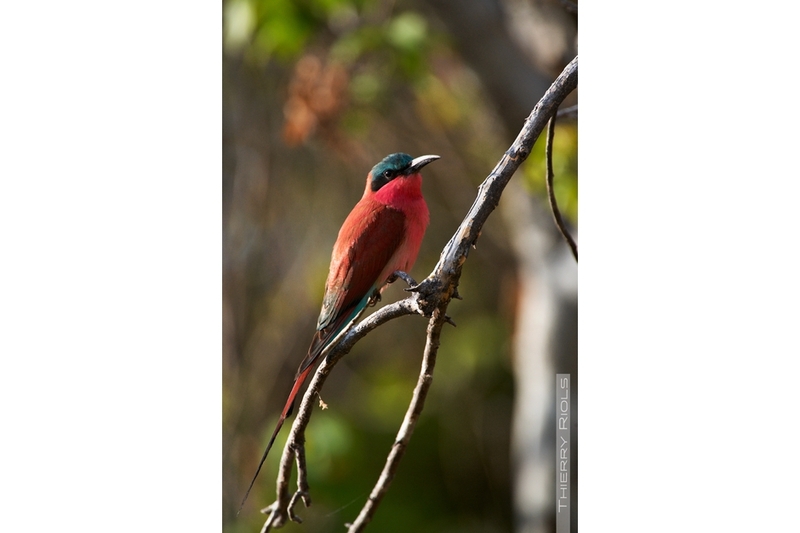 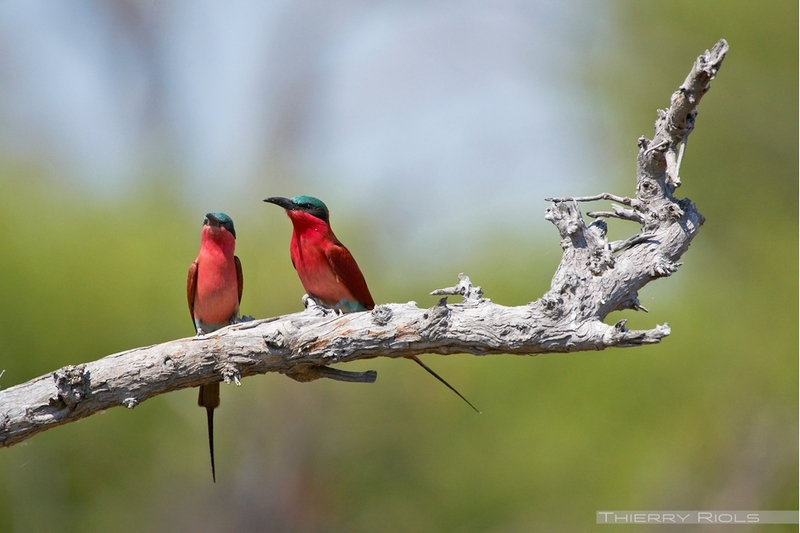 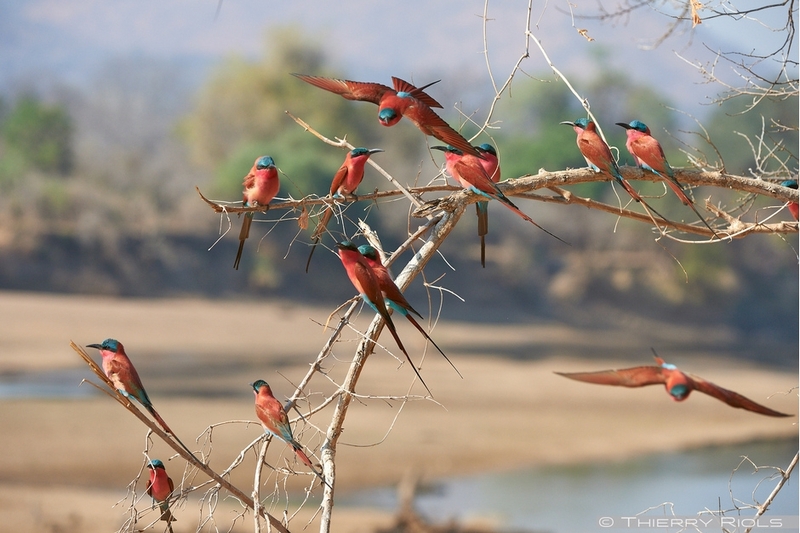 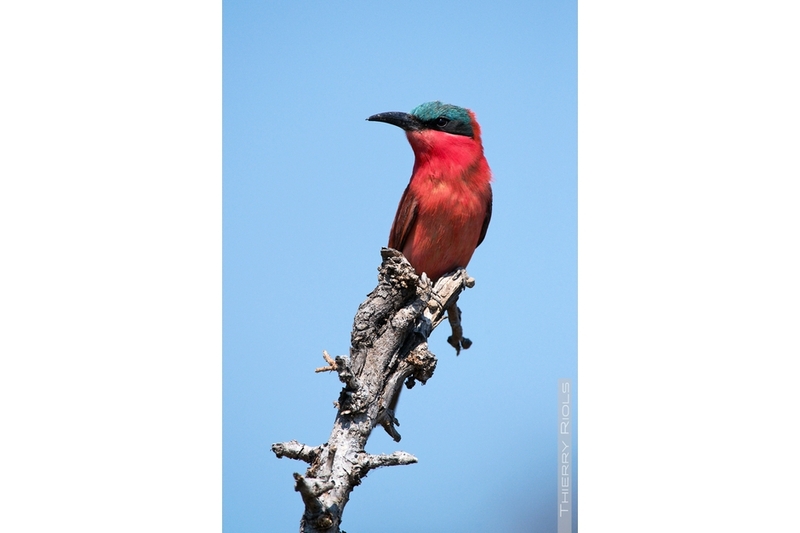 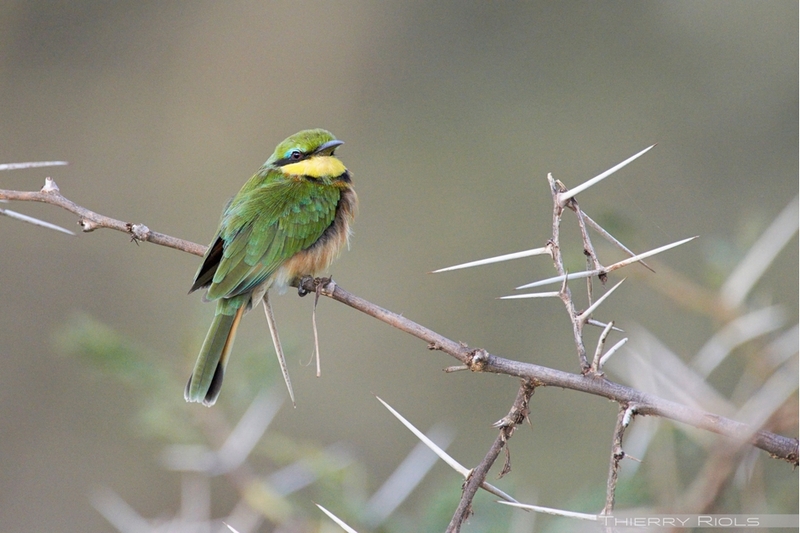 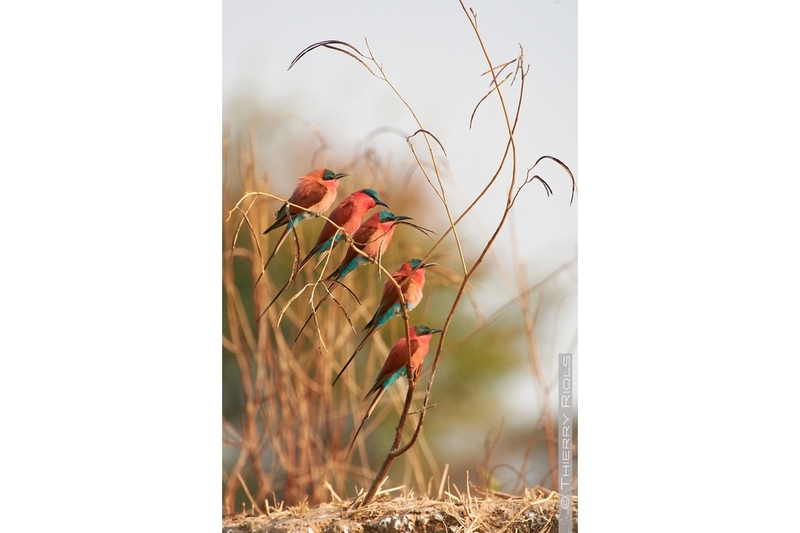 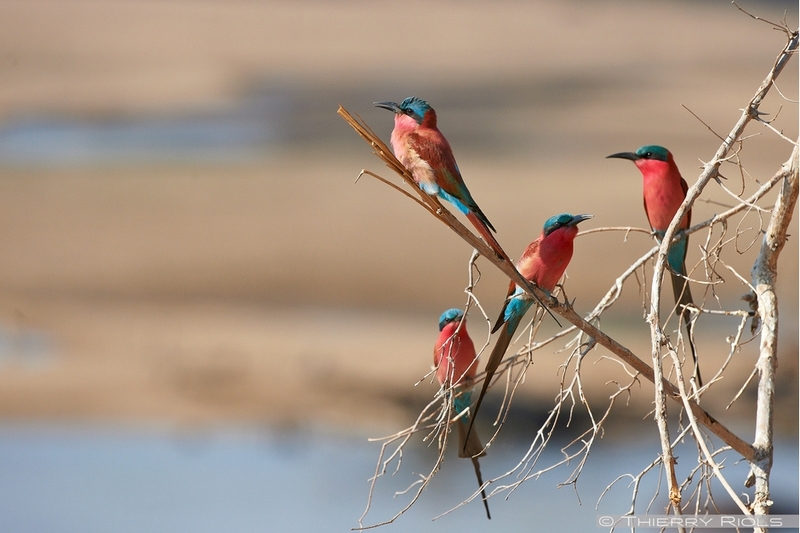 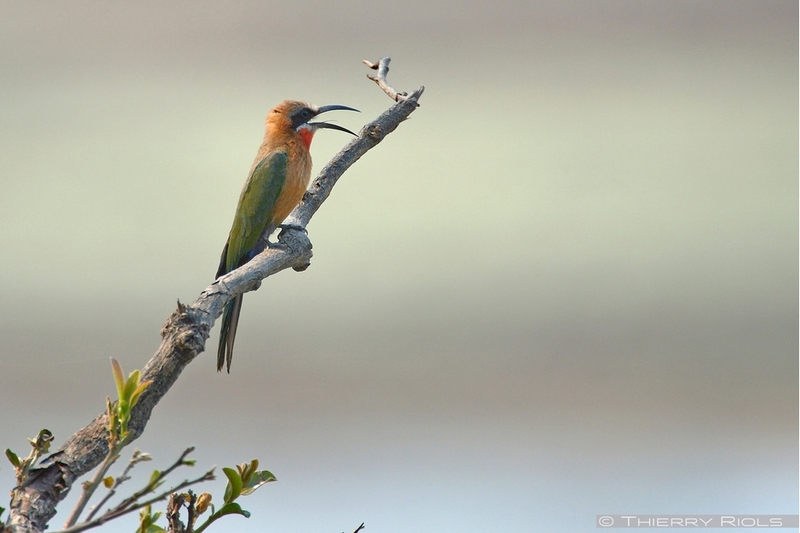 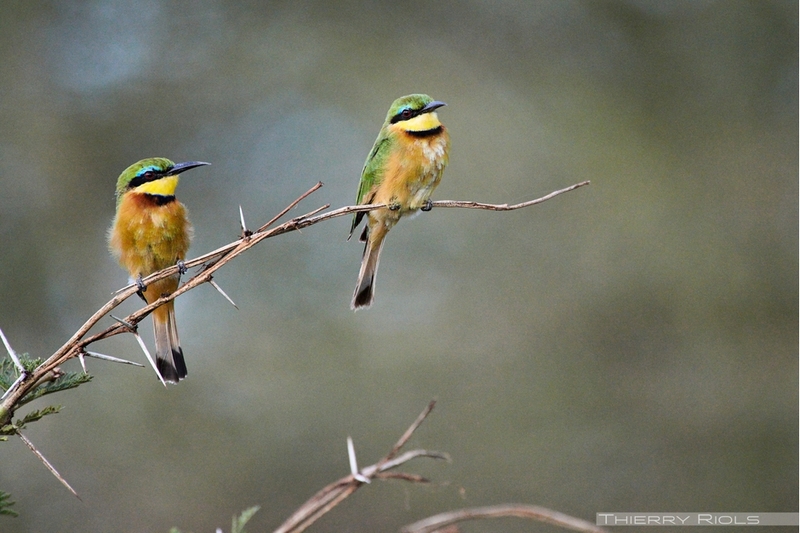 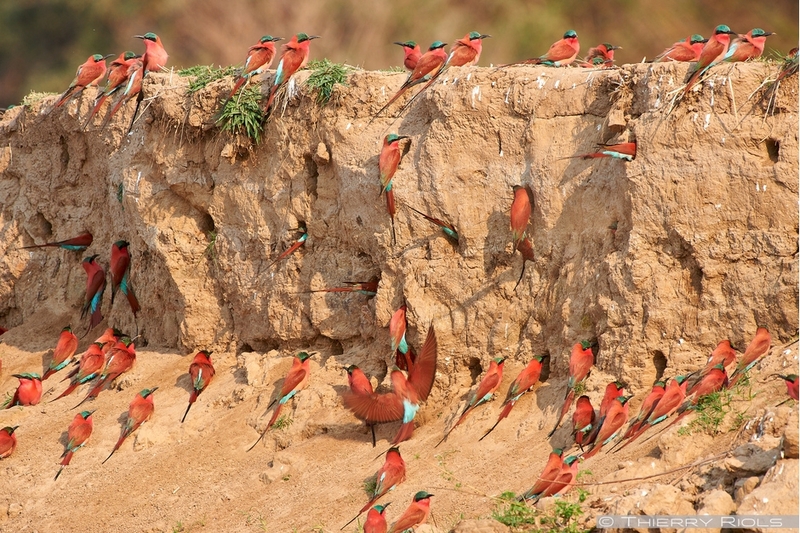 Several species of bee-eaters are present in Africa: carmine bee-eater, European bee-eater, bee-eater of Persia, dwarf and others. 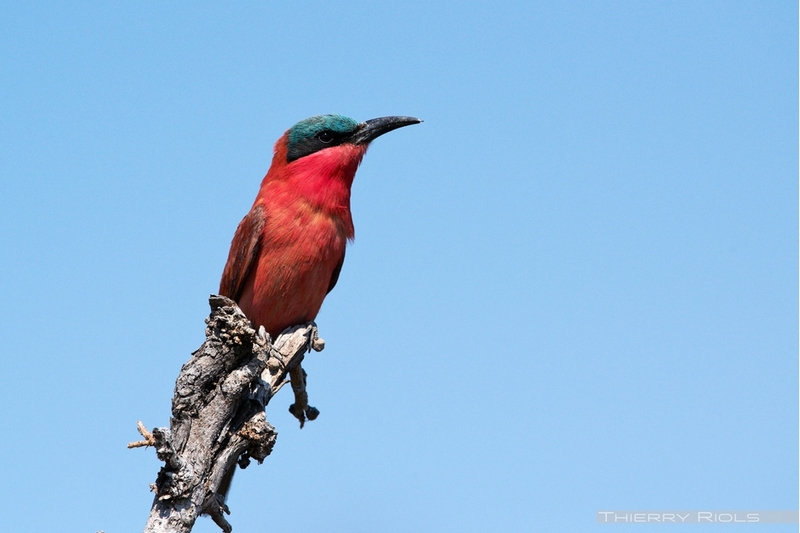 The bird is still very colorful and it hunting insects which they feed with a quick, precise flight. 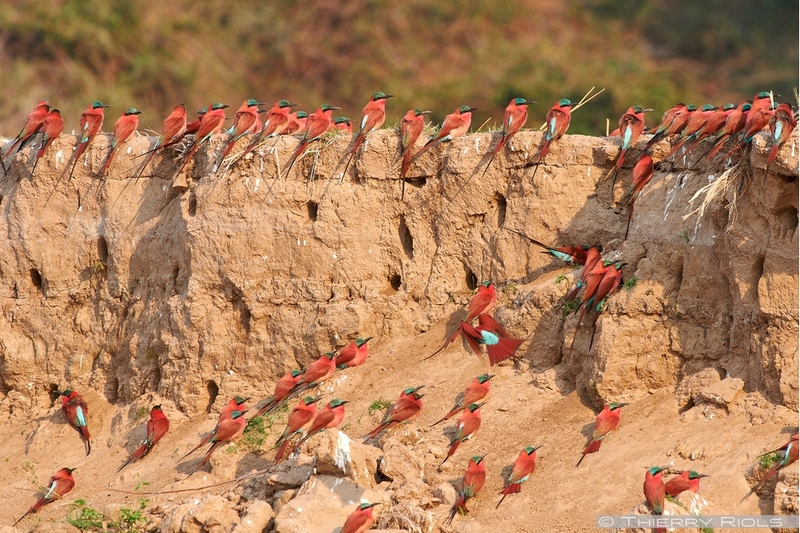 Often in groups during the breeding season, it stay in couple the rest of the year.